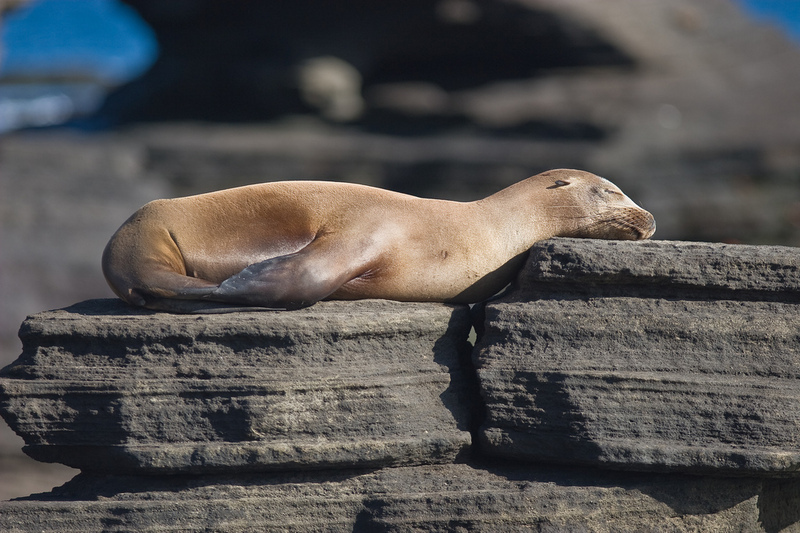 [Photo] Galapagos Sea Lion (Zalophus wollebaeki); Midday Nap. A young Gal? ?pagos Sea Lion on Isla Santiago, Ecuador. Source: Flickr (www.flickr.com/photos/ole/1239905383/). Date: November 13, 2005. Author: Ole Begemann (www.flickr.com/photos/ole/). The Gal? ?pagos Sea Lion (Zalophus wollebaeki) is a species of mammal in the Otariidae family. It is endemic to Ecuador.